Of course, an easy major doesn't guarantee a successful employment. At least, you may enjoy your college years much better having minimum hours of assigned reading per week (look at here to get a distinguished writing help in any field of study). Communications, Journalism, and Advertising. The good news is that this category is free of brain-crunching lab work and mathematics. Isn't it what you've been looking for? Social Sciences. This group includes some calculations, requiring some Math and Statistics, but not as much as Chemistry or Engineering students have to go through. 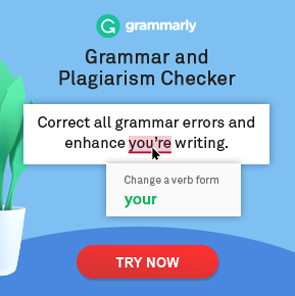 The only disadvantage is that you’ll have lots of writing assignments. Business Administration and Marketing. The fun part of these majors is that students often have to write proposals for their own startups and every day see how the theoretical principles they learn are used in practice. Education. Learning how to teach can be not very exciting, but it doesn't require too much calculations. By the way, spending time in the classroom, teaching students, you'll have less time left for assigned reading. English. Spending four years studying a language you've been speaking your entire life (or at leas a half of it if you're an ESL student) is the laziest choice ever. Engineering. This one is an absolute leader in the dropout rates. In some courses, it reaches 60%. Chemistry, Calculus, Statistics and Physics you’ll have to study if you choose this hardest college major will leave you happy with a ‘C’. ‘As’ are rare and accidental when it comes to Engineering students. Physical sciences. Physics, Chemistry, Biology and Geology fall into this category. You’ll need photographical memory to remember the numerous Latin words and their meanings. Computer Sciences. Of course, it will absolutely pay off after you finally get your diploma. Your task is simply to stay alive and sane spending the vast majority of your awake time studying. Health Professions. Nursing students confess that at least 80% of their classes are challenging. No time to relax. But at least we can feel safe. Medical students’ missed classes are too costly for their future patients. Mathematics. While a lot of students are looking for majors which do not require calculations, this one consists mainly of calculations which can make brains boil. At the same time, the hardest college majors can be the first to pay off. So, weigh up all the pros and cons and make your choice. Or, have you already chosen? Where’s music performance on the list of hardest majors? I believe music performance is one of the hardest majors as well. Why are you calling writing assignments a “disadvantage”? Writing is a fun way to develop new ideas and analyze existing ones, and it shows up in virtually all areas of study. It is an art in and of itself, and we should not reduce it to a tedious task worthy of dread. Also, you show a bias against STEM, referring to it as “brain-crunching lab work and mathematics”, as well as suggesting that studying cannot be fun. Not every student is looking for an easy college major, nor is every student looking for a material incentive to pursue a difficult one, as you implied at the end. For nerds like me, challenges are fun and the incentive is satisfaction. I’m going to double-major in math and chemistry because I love studying and because I want to uncover beautiful, fundamental truths. I concur with Carolyn. The primary motivation for me is being able to enjoy what I do both during college and afterwards. What I enjoy doing may or may not be what someone else enjoys or is strong in. My strengths lie in mathematics, physics and specific types of engineering courses, so it was both fun and interesting to me. However, public speaking is not one of my strengths, thus, I‘ve had to prepare more to feel comfortable presenting to a large audience in a communications related course. I have my Bachelor of Science in Mechanical Engineering. I am currently working on my Masters of Science in Aerospace Engineering with a Graduate minor in Mathematics. I enjoy taking the laws/theories behind Physics and the language of mathematics and applying it to practical designs and inventions. Plus, I’ve always had an interest in the exploration of space and coming up with ways to reach other planets and solar systems. My point is, this list is all relative based on the individual, their goals, interests and skill set. I don’t know how lately I’m replying to this comment, but I totally agree: I’m a highschool student looking for subcareers to pursue alongside my passion for the biological studies. This list has made some degrees seem like they should be the last thing they’d want to take part of in life. And, like you said, not all students hate studying, nor do all students hate math (even if they struggle with it). I agree with you; the one major drawback to this article are the numerous stereotypes surrounding underage students. Thank you for the feedback, Hanako! You clearly have no clue what an English major actually is. It’s focused more on writing and analysis than actually learning the language. Meanwhile law school students are having mental breakdowns. Probably one of the hardest. I find it amusing that this writer declares an English major “easy” because one spends all the time studying a language you have spoken all your life. I have news for this writer. When he is given lines from a random Shakespeare play to identify by character, action and significance, he may just change his message. Can this writer read Beowulf or the Canterbury staled in old English? I doubt this fool can read much if anything based on his persona and style of expression. He sounds like a true light-weight and not someone who has a worthy opinion about any of these fields.